The bathroom may be the smallest room in your apartment, but it's one of the most used! If you're ready for a bathroom refresh, Rockliffe Residences has some great design ideas that will help you add your personality to the space! The easiest change is on your vanity - making a hardware switch doesn't require much time or effort. New knobs and handles can be found in many fun colours, shapes and textures and they are a quick alteration that even your landlord can get on board with. Top it off by adding a basket to the countertop if you have the space, to store smaller items and a hardy plant which can double as an air cleaner. As the largest décor item in a bathroom, your shower curtain sets the tone for the room. Change it up and go bold with colour, soften with a fabric curtain and liner, or try a drapery style using panel curtains. While you are swapping out the curtain, make another quick change and replace the rod with a curved one to add a little extra room in the shower. Another simple change that can have a big impact is the floor. If your bathroom is stuck in neutral, use bold patterned rugs on the floor to add a splash of colour. Or, if you are looking for a spa feel, this DIY pebble bath mat is a great idea. Now, what's an upgrade without touching the walls? Sure, living in a rental comes with restrictions, but with great products like 3M, you can hang things without stressing about damaging the walls. So, add your favourite pictures, another mirror to brighten the room, or even add hooks for your robe or towels. If you want to take your updates one step further, ask your landlord for permission to change the light fixture and the shower head. Different lighting and a massaging showerhead won't change the look of your bathroom on their own, but in combination with other updates, it can really make your design pop. 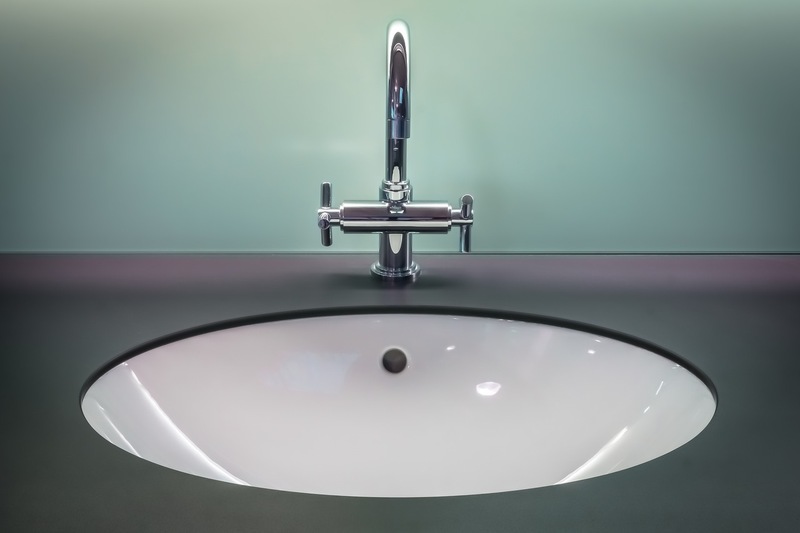 Don't be afraid of a bathroom makeover … simple changes can have a big effect!